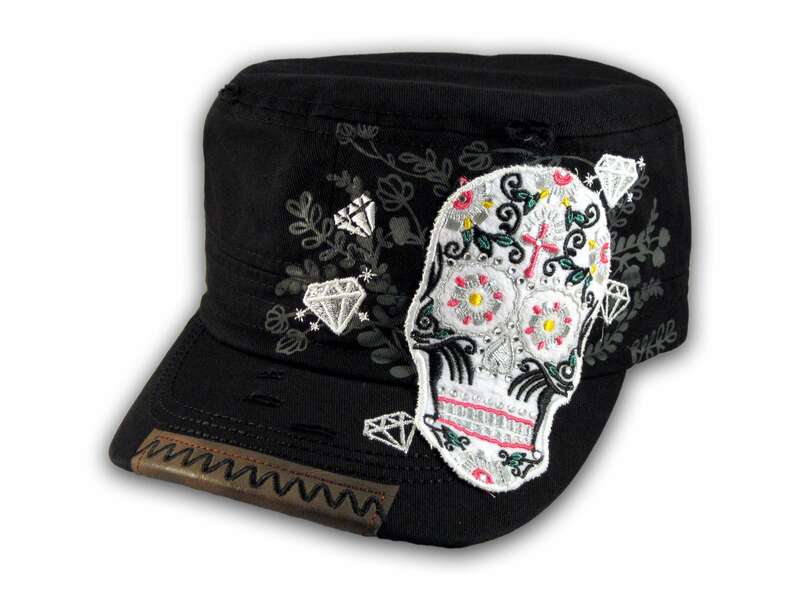 ★ This is a High Quality Distressed Black Cadet Hat with Embroidered Day of Dead Sugar Skull! It has an Adjustable Strap with Metal Clamp! from Leader. 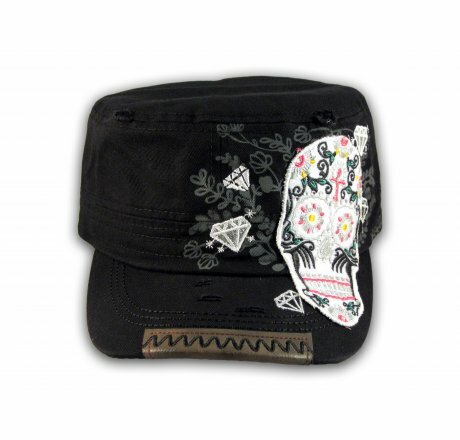 It has a Studded Day of Dead Cross, Sugar Skull with Jewels, Silver Stitching and Gray Print! 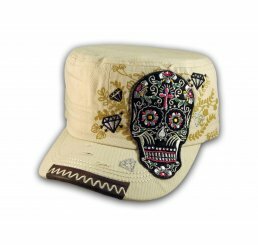 It is Embroidered with Background Flowers and Diamonds! 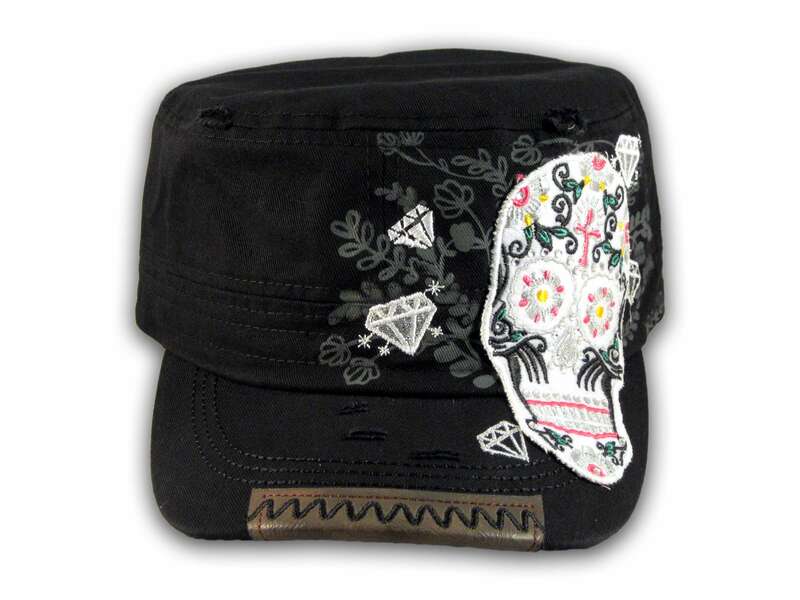 And Two Diamonds are Embroidered on the Back! ★ 100% Brand New! Never Tried On! 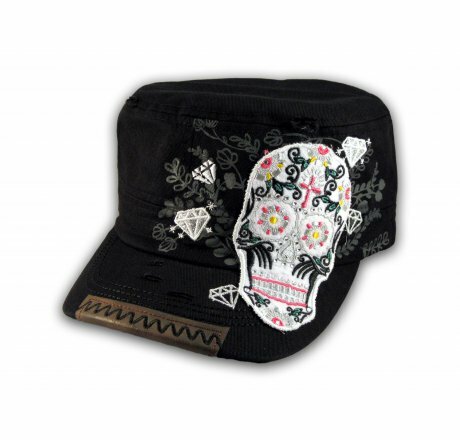 ★ This is a High Quality Distressed Black Cadet Hat with Embroidered Day of Dead Sugar Skull! 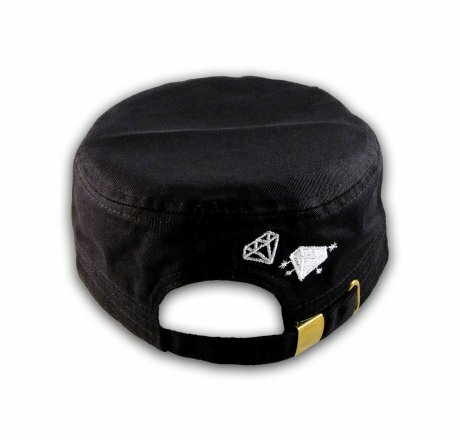 It has an Adjustable Strap with Metal Clamp! from Leader. 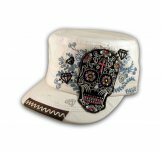 It has a Studded Day of Dead Cross, Sugar Skull with Jewels, Silver Stitching and Gray Print! 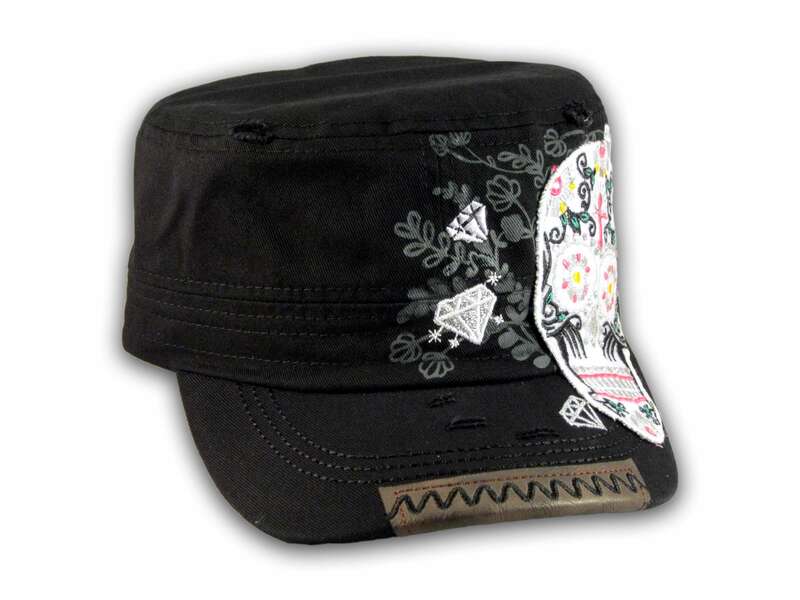 It is Embroidered with Background Flowers and Diamonds! 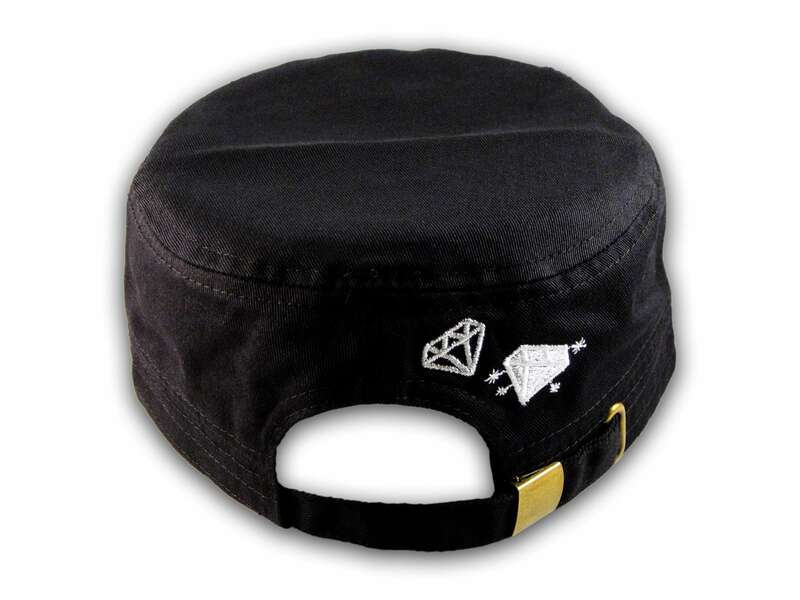 And Two Diamonds are Embroidered on the Back! 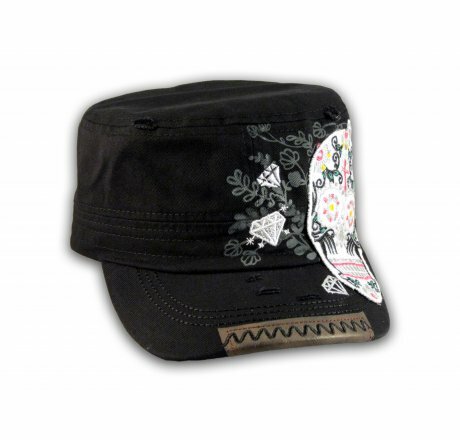 ★ Material: 100% Cotton ★ Color: Black ★ Adjustable/Fitted: One Size Fits Most, Adjustable Strap with Metal Clamp!